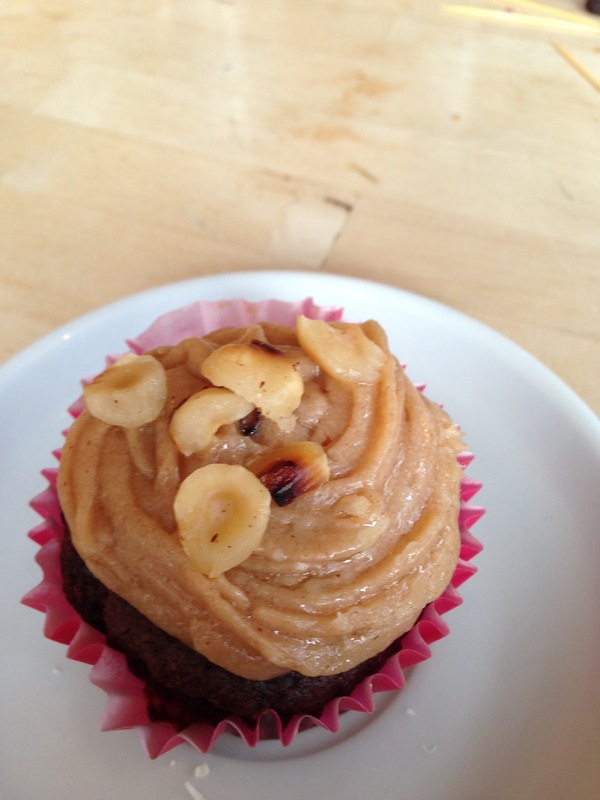 Eating out in Kings Heath is becoming almost as regular as eating my five a day, but with far greater temptations. The most recent addition to the Kings Heath culinary scene is Veg Out Cafe (formally Manic Organic) on Poplar Road off the High Street, a road that is fast becoming a personal favourite as a foodie destination. Last Friday myself and my wife attended a free food tasting night where three chefs had prepared various canapés for guests to sample. The space at Veg Out Cafe is light and airy, and on the night of our visit was full and had a lovely warm and relaxed atmosphere. 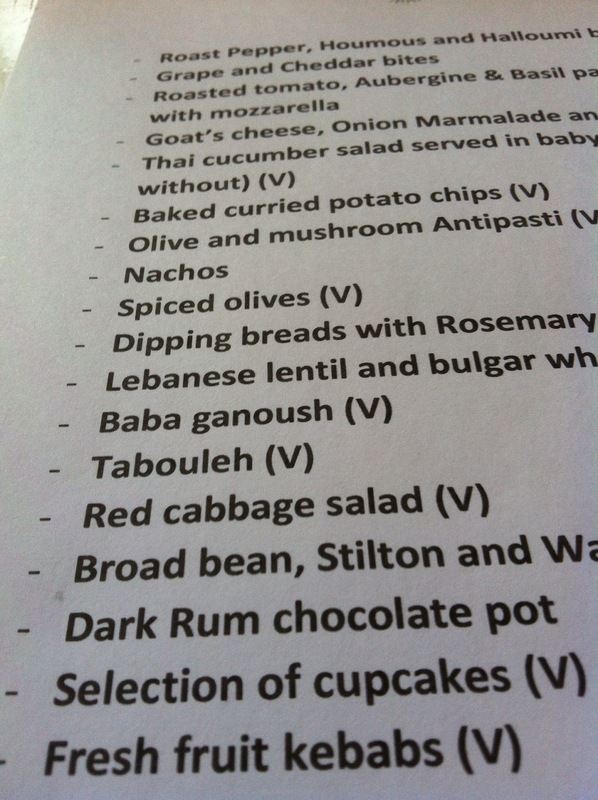 We were given a menu at our table of the prepared dishes and advised that they would come out one by one. Roast Pepper, Hummous and Halloumi bites. Spinich and Cheese Pastry bites. 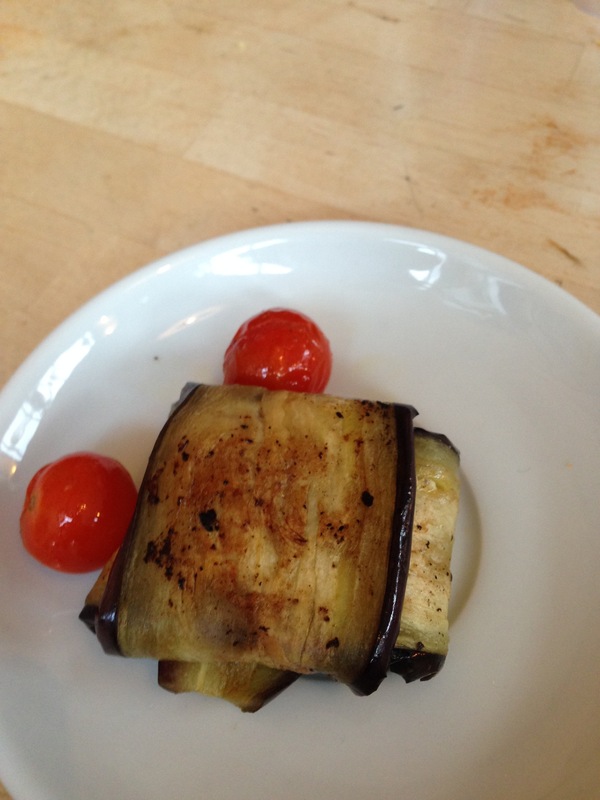 Roasted tomato, Aubergine and Basil parcels. 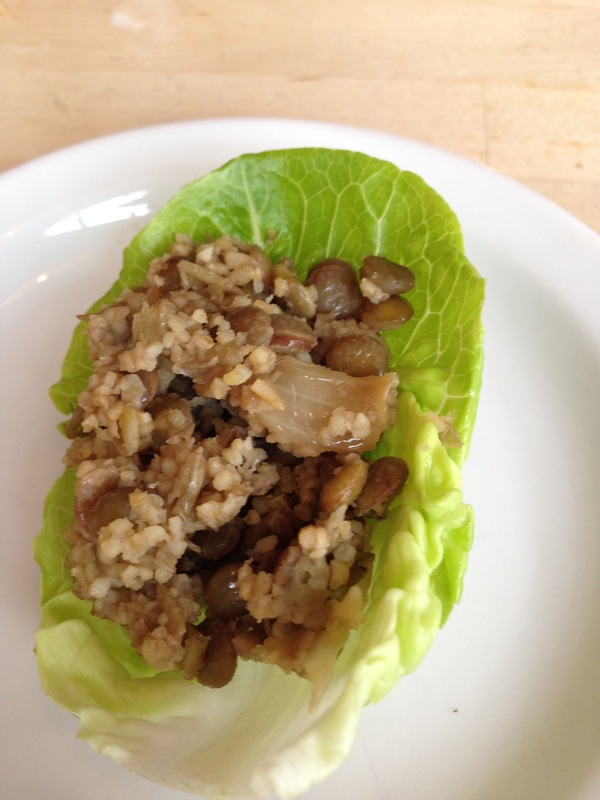 Lebanese lentil and Bulgar wheat salad. 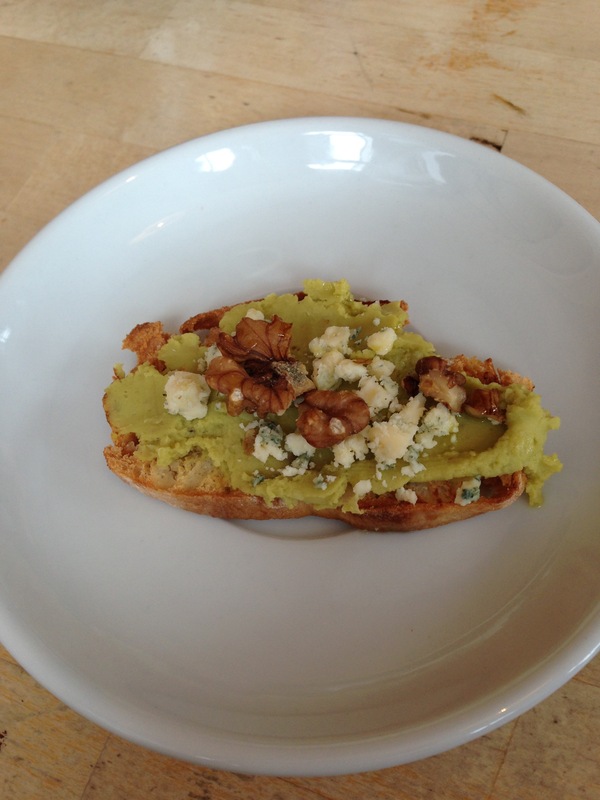 Broad Bean, Stilton and Walnut crostini. Cupcakes from Tall Poppy Foods. 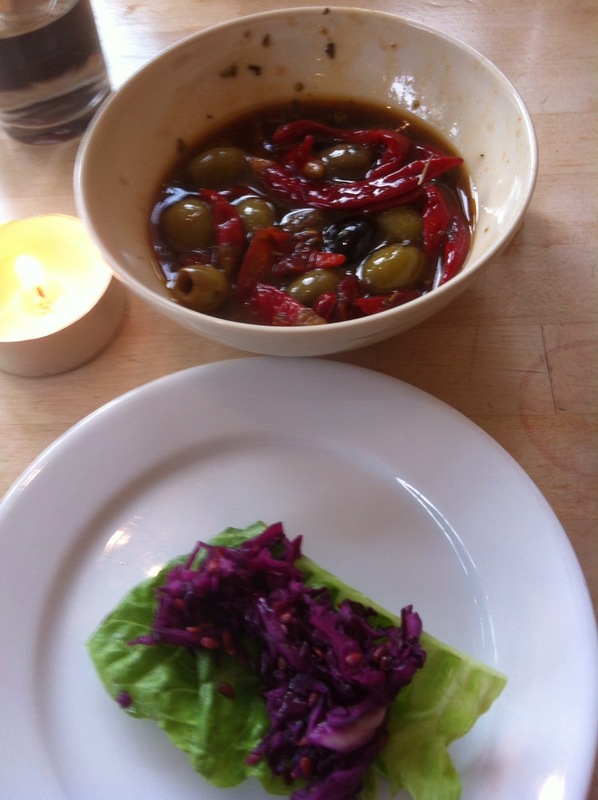 My particular favourites were the spiced olives which were marinated by the chef, the broad bean, Stilton and walnut crostini which had a lovely crunch and Stilton flavour, the roasted tomato aubergine and basil parcels which were full of flavour, the baba ganoush and the tabbouleh. The dark rum chocolate pot was a small pot of heaven and very indulgent, and the cupcakes given by Tall Poppy Foods in Selly Oak were superb and finished the tasting off perfectly. What impressed me also was the service. 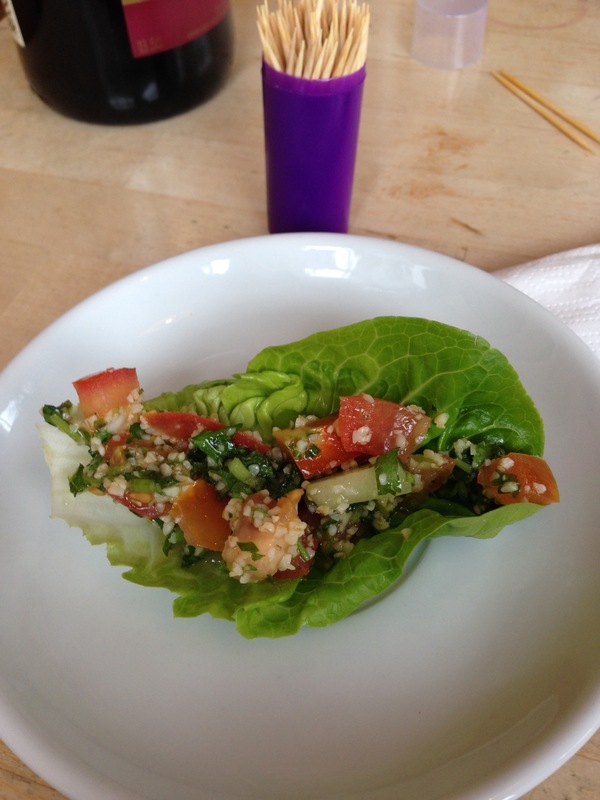 The staff were friendly, welcoming, and prompt with the food as the restaurant filled up. At all times they showed enthusiasm, pride and a knowledge of the dishes that were sampled. 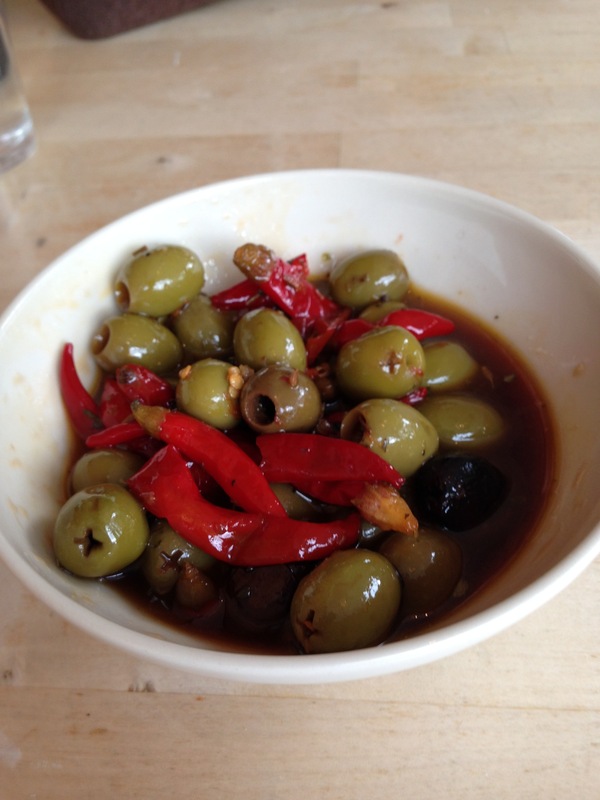 Veg Out Cafe is a welcome addition to a thriving foodie scene in Kings Heath. It’s superb as a day and an evening restaurant and is also open for lunch. 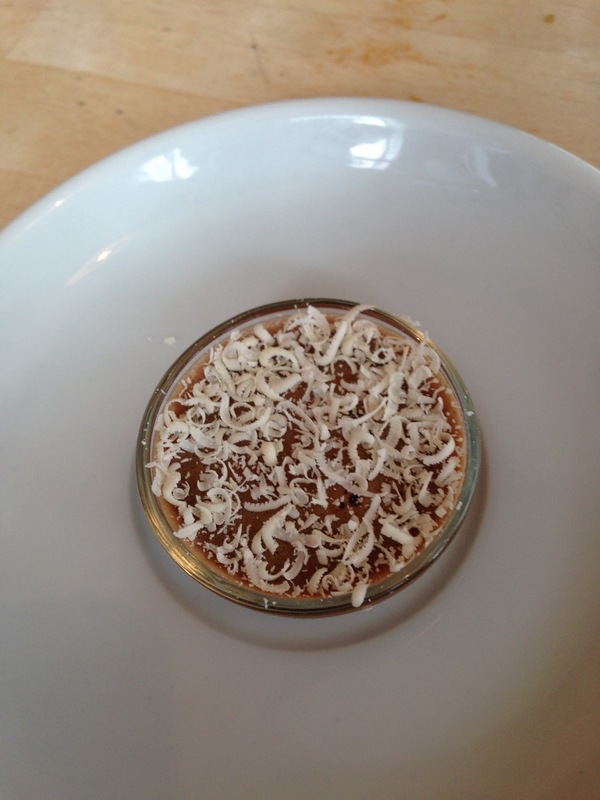 I look forward to returning and trying the main weekend evening menu and lunchtime delights soon. This was a free event and all views are my own. I look forward to visiting one day. Is it child friendly? Hi Lucy, it is very child friendly and with lovely service too. 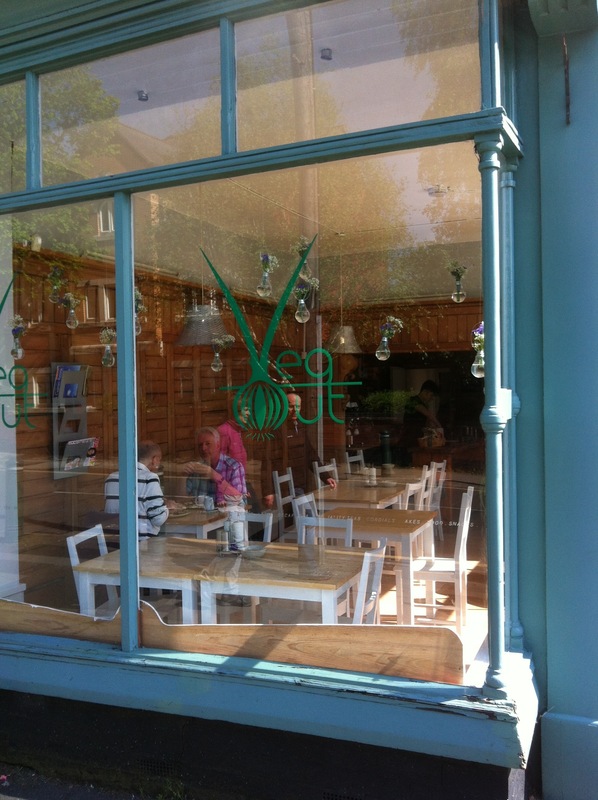 Veg out cafe is a very relaxing place and kings Heath is very child friendly neighbourhood. I’m sure you would love it and look forward to hearing what you think when you visit. Thanks for commenting.